reinvented for the 21st century." 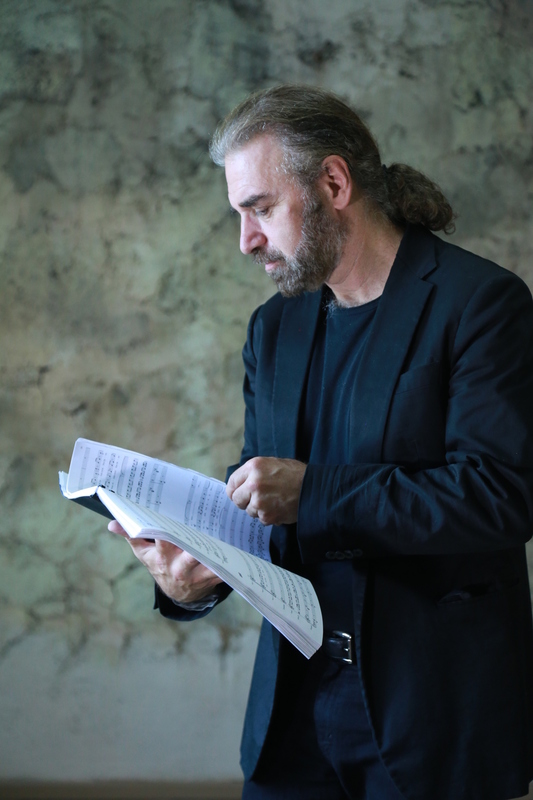 Written by Armenian-American composer John Hodian, The Naghash Ensemble’s “Songs of Exile” is a profound meditation on man's relationship to God from the perspective of a monk forced to live in exile for many years. Part folk music, part classical and profoundly moving. “Is it East or West, ancient or modern, minimalist or complex. finest instrumentalists on duduk, oud, dhol and piano." The idea for the Naghash Ensemble came when I first heard the Luys vocal quintet singing in Garni temple outside of Yerevan, Armenia. 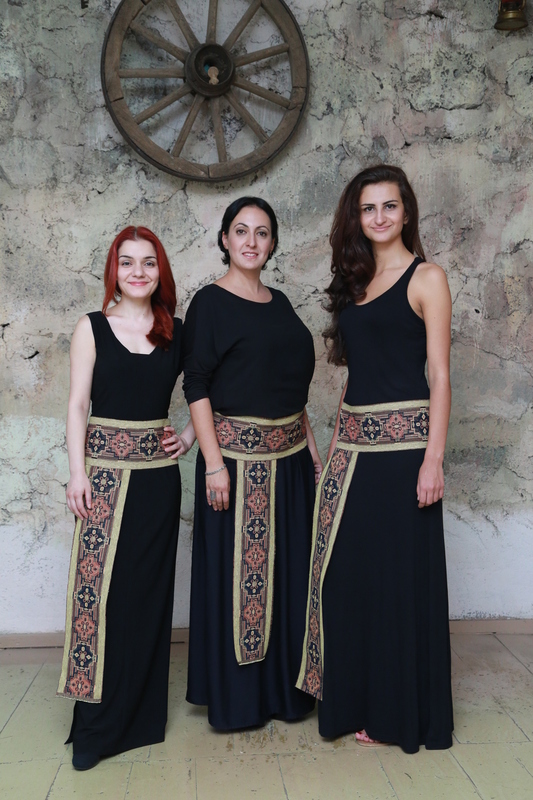 They sang mostly medieval Armenian spiritual music and the acoustics at Garni are astounding. The sound remained in my mind for days after and I was determined to write something that would use this sound in a new way. It took years to discover the right text. I spent many months researching in the libraries of Yerevan, New York and Berlin. When I finally came across a small fragment of the Armenian medieval poet Mkrtich Naghash, the words leapt off the page and into my soul and I knew I had found my text. Being in Yerevan at the time I was able to track down the rest of the remaining 16 poems. After much contemplation as to which texts to use, I resolved that I would set all of them. Without a specific ensemble in mind (other than female voices) I let the texts dictate what the music should be. The instruments of the ensemble were chosen intuitively but in retrospect they are a wonderful compliment to the texts as they contain formal elements (string quartet & piano) balanced by the earthy sounds of the Dhol, Duduk and Oud. Naghash was a priest first and foremost and his poetry was an outgrowth of his sermons. His words are both profound and simple, conversational and poetic. Of particular interest to me were the texts having to do with the plight of the “Ghareeb” or exile; someone without a homeland. Being of Armenian descent, raised in Philadelphia and New York and now living in Los Angeles and sometimes Berlin and Yerevan, the sad state of the Ghareeb, was something I (and perhaps most Armenians) can relate to. As a descendent of genocide survivors, I am deeply familiar with the stories of split second decisions as to where to run, whom to trust and how to survive the unspeakable tragedy of the Armenian Genocide. Armenians were scattered throughout the world while fate, luck, and personal fortitude decided where each survivor would end up be it Paris, Boston, Lebanon, Iran or anywhere else on the planet. I have always been struck that these decisions, made in an instant by the survivors, had repercussions for generations to come. Like many contemporary composers, I am leery of labels and find myself at a loss as to how to describe the music of the Naghash Ensemble. Folk or Classical? Ethnic or Cosmopolitan? Ancient or Modern? In the end, it is a natural product of someone who was raised listening only to Armenian Music in the home, studying European classical music in his youth, making a living as a jazz improviser but like all of us was constantly surrounded by contemporary rock music. The Naghash Ensemble will be on tour in Europe in July, August, September & November, 2019. "The singers have an intensity that reveals the musics spiritual depth." A compelling new version of “Songs of Exile” which allows for collaboration between string orchestra and the musicians of The Naghash Ensemble. Find videos & more information here.